I tried changing the WRITE Adapter to OleDB in order to create a DBF file. I get the error in the screenshot along with there configuration screenshots. It is almost like the Change of Adapter did not work or complete? I´m afraid at present only the SQLite Adapter has the possibility to create not exiting tables before importing. 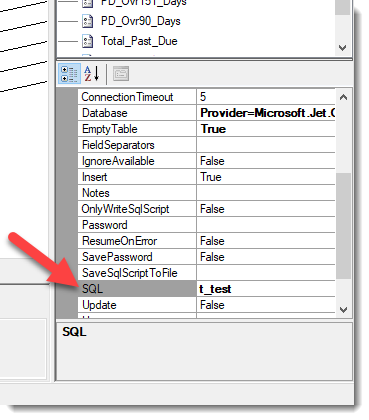 The OleDB or all other database Adapters are currently not able to create tables or add some missing fields. Note: When changing the type of Adapter only general information such as field names / types and database connection settings etc. as applicable are retained, any settings that specifically apply to an Adapter type are lost. It would be possible to create the desired dBASE table (uisng the OleDB Adapter ) with the help of the .NET Script Heater and a little C# script like below. // if the dBASE table file already exist no further action!